Spread one of the bread slices lightly with mustard. 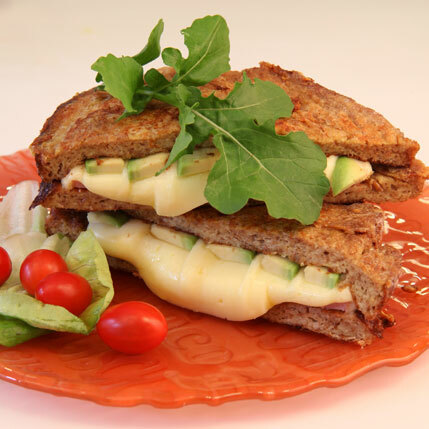 Top with ham, cheese and avo slices. Cover with second bread slice and sandwich together. Beat the egg and full cream milk together. Pour the egg mixture into a shallow dish. Dip the sandwich into the egg mixture, turn around and soak well. Heat a frying pan with a little oil over medium heat and fry the sandwich on both sides until golden brown. This is a delicious treat whilst watching sport on TV. Wash down with a cold beer.